How many artists can claim to have held their first international showcase in New York City at the age of 10? 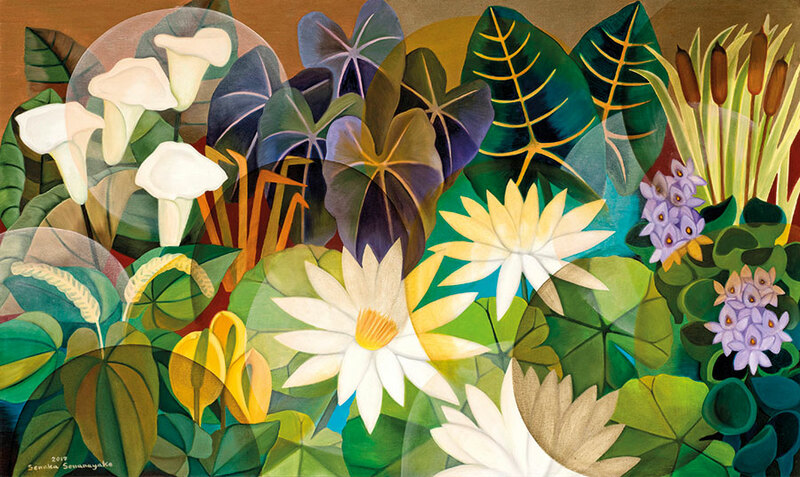 Senaka Senanayake, one of Sri Lanka’s most prolific painters, has achieved this feat, and one look at his canvases can tell you why. Capturing the beauty of nature in all its glory, they bring the rainforests of the world to life. Senanayake, who believes that our forests are ‘spectacular and irreplaceable’, takes two to three weeks to complete a single canvas, adding layers of paint to create the required luminescence and depth in each work. 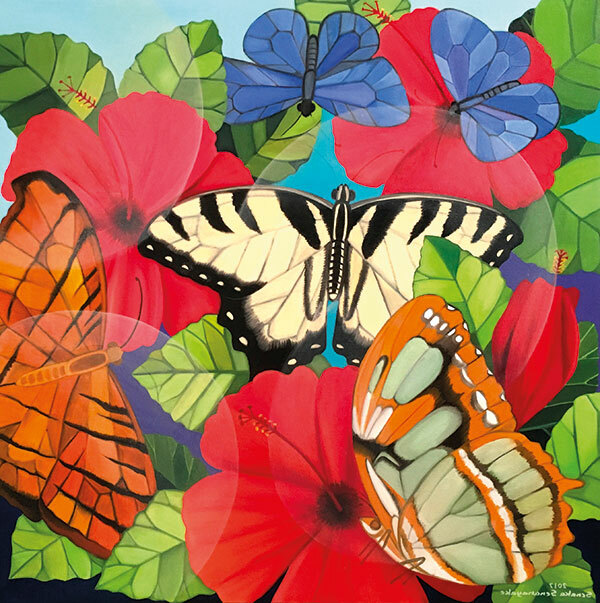 Viewers will be treated to new works by the artist at an exhibition in the capital that, once again, highlights his fascination for the world’s flora and fauna, while drawing attention to their rapid decline. The artist, whose creations are part of several public and private collections, has been commissioned for works by the White House in Washington DC as well as the United Nations Headquarters in New York. The exhibition, presented by Saffronart and Grosvenor Gallery, London will be on display at The Claridges, New Delhi from January 12-24, 2018.